The current recession has affected all industry; no one will argue this point. Part of creating a turn-around strategy is recognizing how it has affected the industry, and just what to do about it. Prior to the downturn, budgetary cuts were already affecting OEM factory training on how to repair new and current appliances. Many manufacturers continued to cut their training budgets to the point that there is simply not enough training to keep up to today’s rapidly evolving technological advances in the appliance industry. How is a field technician expected to perform flawless repairs when he has not been trained on new models and new technology? Will these new appliances be self repairing? Don’t laugh. I’ll bet those very plans are on the table in many R&D departments worldwide. It’s important to have service and repair in mind during these times because the consumer’s brand loyalty rests heavily on their after sales service experience. It continues to puzzle me how manufacturers can overlook the need to train the repair workforce as they develop strategies to protect their brand. Trade Associations such as United Servicers Association (USA) and Professional Service Association (PSA) were created to fill this training void. For years these two groups have existed – picking up where the manufacturers leave off – to fulfil the training needs of their membership. In recognition of the current economic situation, USA and PSA have joined forces to hold one large training event (instead of multiple events) to lower the cost of participation for all. It appears that the industry approves of this joint venture, as participation and support has been strong. For USA and PSA it’s the first time these two groups have ever joined forces for the common good of the industry. The result of the combined effort is the Appliance Service Training Institute or ASTI. The ASTI will be held at the Walt Disney World Resort® in Buena Vista Florida February 16-20, 2010. The Disney Coronado Springs Convention Hotel will be the host for the expected 600 independent service providers from around the country. Attendees of the premier training event will have 5 days of intense, hands-on training from many appliance manufacturers who will conduct factory training during the convention. Servicers will be trained on current and new models from most manufacturers; all gathered under one roof for five days. 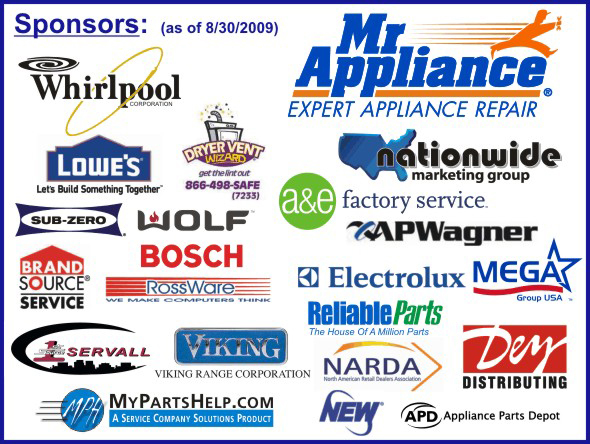 Training will cover the distance between basic refrigeration, entitled “From the Ground Up”, delivered by Whirlpool to advanced solder-free brazing from American LokRing – the latest technology in refrigeration repair. Viking will deliver a full day of basic electricity, entitled “Mastering Electrical in 6 Steps.” Participants will be shown how to work with ladder diagrams and how to read wiring diagrams. Technical hands-on training will be also provided by Samsung, Sub-Zero, Whirlpool, ASKO, U-Line, Dacor, Viking, Fisher & Paykel, Bosch, GE, LG, Electrolux, Haier, Wolf, Scotsman and American LokRing. This very impressive line-up from 16 OEM factory trainers is offering 48 unique 90-minute classes. How could any service provider seeking training miss this event? But it’s not just technical training on the schedule at the ASTI. Attendees can also choose from a full complement of business management training. 25 different classes on how to better run your business are sure to benefit even the most astute entrepreneur. Management classes include Calculating Cost of Doing Business, Business Plans & How to Develop One, Service Management Productivity, Penalizing Efficiency & Experience: Charging Hourly Rates, Asset Protection & Tax Cutting Strategies, Understanding People, Parts Inventory Management, Preparing to Sell Your Business, Maximizing Your Web Presence and Profitable Service Strategies. These classes-and more-are amongst a very impressive training curriculum for both service managers and technicians alike. But it doesn’t stop there. Several free certifications will be provided during the ASTI. Technicians can take the MCAP (Master Certified Appliance Professional) test. Service managers can take the CSM (Certified Service Manager) test and customer service reps can take the CCS (Certified Consumer Specialists) test. That’s a $139.00 savings per certificate. The ASTI provides a solid line-up of training at a reasonable price of only $399. (Includes breakfasts and lunches). It is a highly anticipated event and an unrivalled opportunity to improve your business. It’s also expected to sell-out, so if you’re considering attending the ASTI register now to avoid disappointment. Learn more about the ASTI and register online at www.ASTI.us. When is the next training program scheduled for? The next training scheduled is our Annual Service Training Institute (ASTI) scheduled for February 8-11 in San Diego with a pre-event day on the 7th. There are 120 hours of training offered. Visit http://www.ASTI.US and click on agenda to view the different training classes that are offered. Did you offer training on Range, Washer, Dryer, Microwave and Dishwasher, if yes when is your next training coming up.